TWO BIG EVENTS COMING IN THE NEXT FEW MONTHS - GOLF TOURNAMENT AND CAR SHOW! Sponsored by our local businesses. 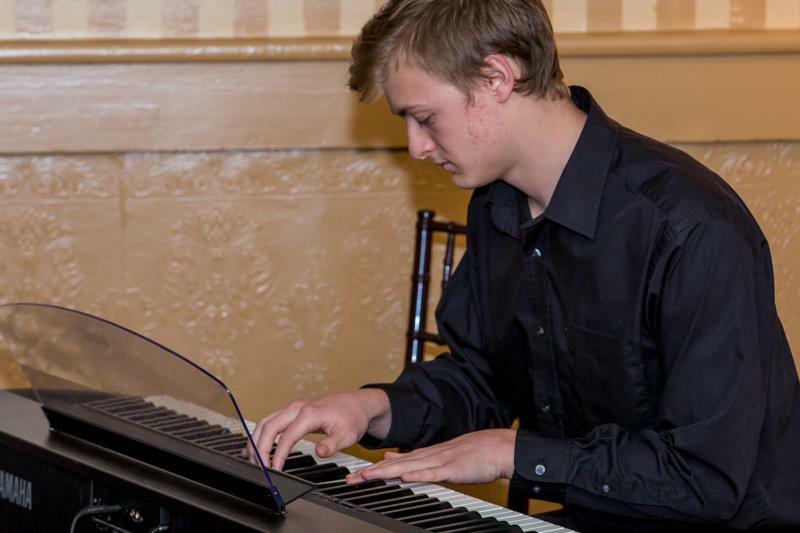 On March 29th, 6:30 pm, at the St George Restaurant in Volcano, Amador Upcountry Rotary hosted acounty-wide (Area 7) music contest for youth ages 14-18 years who attend a traditional or home-schooled/non traditional high school in Amador County. ​$250 for First Place went to Hunter Riordan, $100 for Second Place, and $50 for Third Place. Hunter competed at the Rotary District 5190 Finals in Reno, on May 19th. Congrats, Hunter! Spectators are FREE. Enjoy cars, music, food, and friends. ​Sponsored by our local businesses. 2018 - Dictionaries for All Upcountry 3rd Graders delivered in Feburary! ​Every year the Rotary Clubs in Amador County distribute big, beautiful, useful dictionaries to EVERY 3rd grader in the county. Amador Upcountry Rotary services Pioneer, Pine Grove, and Christian Elementary school children. For many, this is the first book they have ever owned. One of the most common questions heard is, "Do we really get to take it home?" Many thanks to Upcountry Rotarian Bill Almgren for bringing this amazing program to our community year after year and thanks to his Rotarian and community helpers for assisting in the distribution at the schools! RYLA is a premier leadership camp for young people. Click here to learn more and check out some of the fun! ​Amador Upcountry Rotary offers 2 scholarships to Camp RYLA, for juniors between their junior/senior years.The Rotary Clubs of Amador County and individual Rotarians are sponsoring a total of 13 students this year! 1/20/18 ANNUAL CRABFEED TURNS INTO STEAKFEED! Our Annual Crab Feed scheduled for the 3rd Saturday in January (this year on 1/20/18) turned into a BBQ Steak Feed this time around due to the inaccessibility of crab through our regular suppliers. But this didn't seem to cause too much heartburn out there. Thank you to ALL OUR SPONSORS and ALL THE COMMUNITY for joining us! We raised over $12000 that all goes back out for community beautification, science camp, leadership and college scholarships, dictionaries, and support of other worthwhile groups such as 4-H, Boy Scouts, Food Bank, Interact Club, etc. Thank you! ​REGL (Rotary Eight Grade Leadership Program) is a professionally delivered 3-day intensive leadership development seminar, held near the beginning of each school year. Participants are selected by their school principals and sponsored by a local Rotary Club. Typically 5 students are selected from each middle or junior high school. Amador Upcountry Rotary is proud to be a sponsor for local eighth-graders from Jackson Middle School. Click here for a brochure about the program. The five middle school students and their parents spoke to our club in January regarding their life-changing experiences at Camp REGL last September. ALL THE CAR OWNERS, AND ALL THE CAR ENTHUSIASTS! ​CAR SHOW 9/17/17 - COMING AGAIN ON 9/22/18!! A Paul Harris Fellow is someone who has contributed at least $1000 to The Rotary Foundation or for whom a donation has been made in their name. The following members and friends of the Rotary Club of Amador Upcountry received this award at Area 7 Annual Foundation Dinner in February: Tammy Demetrus, Bob and Sharon Chrisman, Kelly and Damian Wolin, Roberta Pickett, Don Amador, and Bob Wood. Presenting the awards were District Governor John Sullivan and Club Foundation Chair Dave Werolin. Congratulations to all to your commitment to doing good in the world through service above self. Who IS AMADOR UPCOUNTRY ROTARY?